Is your Silver or Gold accreditation due for re-approval soon? Have you started your Silver or Gold application? We recommend that you familiarise yourself early with the evidence required so that you have time to prepare. Remember, you must have 45 days left on your current and lower level of accreditations at the time of submission. 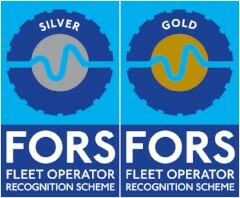 The Silver and Gold application pages include guidance to help you meet the FORS Standard version 5 requirements. Please read the demonstration and guidance carefully so that you understand what evidence is required. A noise assessment template to help with requirement S7, which includes useful links to understand how to carry out an assessment – this is not a mandatory template but if you don’t use it, we recommend you cross-reference what you have prepared against it to make sure you cover all aspects of the requirement. The template is available within the FORS evidencing system or can be found under the ‘Getting ready – FORS Standard version 5’ section of the ‘Go for Silver’ page. A sustainable operations template to help with requirement G6 – this is not a mandatory template but if you don’t use it, we recommend you cross-reference what you have prepared against it to make sure you cover all aspects of the requirements. The template is available within the FORS evidencing system or can be found under the ‘Getting ready – FORS Standard version 5’ section of the ‘Going for Gold‘ page. Non-mandatory and mandatory templates can all be found within the relevant requirements of the Silver and Gold online application pages. If you have any queries, you can check the frequently asked questions or email the FORS Helpline on enquiries@fors-online.org.uk.